If we have a few more hot days this summer thoughts will turn to how pleasant it is to sit by cooling and soothing water in the garden. There is a huge range of choices nowadays from a full-blown fish or wildlife pond, through mini ponds to a wall-mounted fountain. A source of water is also a great help to the creatures living in your garden and gives a great chance to watch them. Most simply, birds and small mammals need water for drinking so if you cannot accommodate a pond then any shallow container, even an upturned dustbin lid, can be sunk into the ground. A pond provides a complete eco system, even if you are keeping fish not creating a ‘wi ldlife’ pond and bear in mind that it will need regular maintenance to keep water clear and plant and animal life healthy. A larger pond is often easier to look after than a tiny one so if you have the space aim at dimensions of 2-3 metres whether pre-formed or using a flexible liner. In a small garden a mini-pond can be made by sinking a large trug-bucket into the ground or standing a half barrel on a patio. You will still attract wildlife and have room for a mini waterlily. 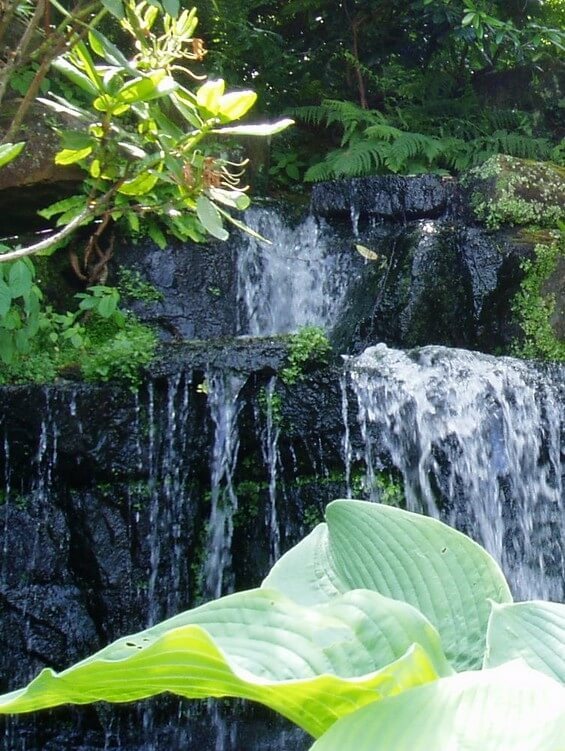 If the sight and sound of falling water is what attracts you then look for a self-contained water feature, from water flowing smoothly over a sphere or down a vertical mirrored slab to a fountain splashing onto pebbles. These often have a covered reservoir and no open water. Whatever the size of your pond, make sure there is gentle slope or a shallow ledge so that birds can drink and bathe and any animal that falls or wanders in can get out again. And of course protect children from the risks of open water with permanent fencing or a rigid cover and supervision. Water adds a whole new dimension to a garden but with so many options, do think about what you really want before buying or digging: it can be expensive to change your mind. Alison Marsden lives in West Kent and provides advice to gardeners as well as teaching for Kent Adult Education Services.